Fate, it would seem, is conspiring to stop me from meeting Eben Sadie when I visit Swartland: in 2010 he was in Europe, and on this return visit in 2013 he was in Johannesburg on business. However, it was a pleasure to be greeted by Eben’s sister Delana and assistant winemaker Paul Jordan (right), who joined only in January 2013 having worked “all over the Cape,” for the past five years, plus working vintages at Roc d’Anglade in the Languedoc. The Sadie Family Wines story began in 1999, whilst Eben was still in charge of Charles Back’s Spice Route winery. His early vintages, including the first ever release of the iconic Columella from the 2000 vintage, were made in Back’s facilities. From the outset Sadie has farmed organically and biodynamically. The winery is a vision of unusual fermentation vessels, a bewildering array of amphorae, concrete eggs, cones and cubes, and larger formats of oak barrel. Only wild yeasts are used for fermentation and all red wines are pressed in a small, manual basket press. The winery is both state of the art (and meticulous) and minimalist, the winemaking being very much hands-off with minimum work on the fermenting wines such as ‘punching down’, the technique of sinking the floating cap of grape skins to extract more tannin and pigment. Instead punch downs are minimal and at other times a much more gentle ‘sprinkler’ system encourages a much gentler extraction. “As Eben always says,” laughs Paul, “We’re making tea, not coffee”. As we settled down to taste the extraordinary wines in Sadie’s Old Vineyard series, Paul told me a little of the thinking behind them: “Part of the mission of the winery is to capture these old pieces of South African history,” he explained. 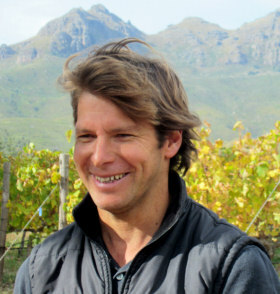 “We want to celebrate the positive side of old South Africa – that’s why all labels in the Old Vineyard series are in Afrikaans: if the French don’t translate their labels for the world, why should we?” As with all the upper tier wines in the portfolio only natural yeast ferments are used and the wines are bottled without filtration. All of the wines in this Old Vineyards range are sealed with wax. The Scorpion comes from a very old vineyard planted in a sand dune with chalk layer beneath. It’s a 50-year-old field blend of Chenin Blanc and Palomino, only reachable by a specially adapted Land Rover according to Paul Jordan. 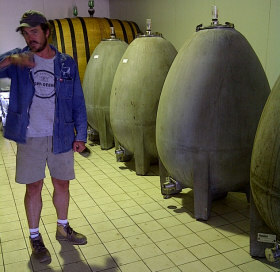 These are unirrigated bush vines a couple of hours drive north and the wine is made in concrete ‘eggs’. Lovely golden colour and a beautiful nose of salty minerals, a touch of wax and lanolin, nutty apple and honey tones all so appealing. There are lovely little roasted notes too, before the palate shows pristine, dry, lightly orangy, orange rind fruitiness. There is such clarity here, all that nutty, lemon rind texture and visceral weight in the mouth. 93/100. Skurfberg (Rough Mountain) comes from a much warmer area hence 14.5% abv as opposed to Skerpioen’s 13% abv, from a vineyard three hours north of winery in Oliphants River. 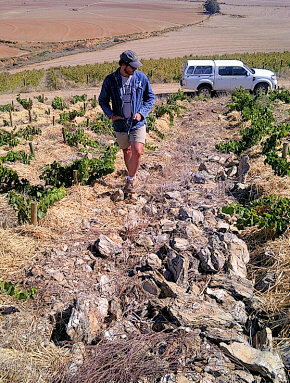 Again the 60- 70-year-old bush vines are unirrigated, all Chenin planted in decomposed sandstone. That beautiful golden colour again, nutty, a bit of vanilla (though it is made mostly in concrete eggs with just a little neutral oak). Hints at more fruit and on the palate that much more fruit sweetness comes through, really ripe crunchy golden apple, but hinting at more tropical fruit too. Lime rind and zest, and a juiciness to this and delicious balance, the alcohol sitting very nicely, barely noticeable because of that old vine concentration and shimmering acidity. 93/100. Another of the wines that put Sadie on the map, 22 barrels were made this vintage and the alcohol comes in at 14.5%. Based on Chenin Blanc, Palomino and Grenache Blanc, with little bits of Semillon, Semillon Gris, Clairette, Marsanne, Roussanne, Verdelho and, finally, a touch of Viognier. From decomposed granite and slate soils, and some table mountain sandstone. All grapes are hand sorted into 500 litre neutral barrels for fermentation. Huge, honey and nut-layered stone fruits and that deep golden colour again, the apple and peach subsumed under minerality and that nutty, dry character. Beautiful silky texture here, with such intensely sweet fruit, concentrated nectarine and then that flowing but nutty dryness into a very long finish. 95/100. This Puff Adder bites with 14.5% abv. It is 100% Cinsault from Riebeek, planted on slate soils, and only whole bunches go into the fermentation tank with no destemming. Beautiful, fragrant nose, gentle exotic spices, with a Sandalwood lift and cherry-light fruit, even a hint of Pomegranate and a touch of sappiness. The palate is really light, freshly fruity, with that sappy, gently green edge again that adds to the freshness. Nicely dry, cranberry fruit and racy, delightfully orangy acidity. Beautiful and easy to drink despite the grip of tannin in the finish. 92/100. Named after Soldier – the vineyard dog – this is 100% Grenache from Piekenierskloof, one and a half hours north, and a vineyard at 708 metres above sea level. It has a green touch, a menthol and briar character, with herbs and garrigue and a nutty Grenache background. Beautifully fresh on the palate and very dry, this is verging on the austere, with the cranberry and redcurrant dryness of fruit, and a nice fresh, dashing and long finish hinting at cherry. A pleasing touch of rounding, softer vanilla too. Lovely but I might prefer a little less of the greenish character in this 13.5% abv wine. 91/100. The blend in 2010 is 72% Shiraz with Grenache and Mourvèdre, all coming from soils of decomposed granite and slate in the Reibeek and Paardeberg region. Columella is aged two years, fermented in conical wooden casks, then spending its first year in barriques, its second in big old wooden casks. According to Paul “Clay in the vineyard gives spice, the granite gives red fruit and floral aspects.” Immediately complex, with brightness from red fruits, something herbal and subtle notes of coffee and game beneath. There is spice too, and a hint of riper, darker cassis. Silky on the palate, but so much energy and so light on its feet from the racy, grippy tannins, the fresh acidity and the dryness of the fruit, but then there is that inherent juiciness and hints of ripe, chocolaty richness. 95/100. Sitting between the Paardeberg and Paarl Mountains, Adi Badenhorst’s home and tiny winery sits at the end of long, rough, four-wheel-drive munching dirt road, where heavy rains had washed away large sections making our approach even more interesting. Here, one of Swartland’s biggest names farms 30 hectares on a farm he bought in 2007, complete with a very old winery last used in the 30s. Adi greets me in tee shirt and working chinos. 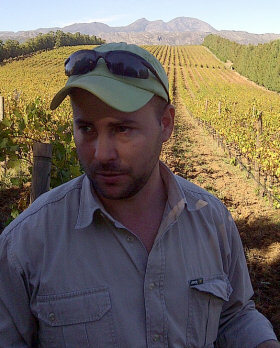 He explains that he had bought fruit from this vineyard over a decade ago when he was winemaker at Rustenberg. A lot of new planting is evident. varieties including the unusual choices of Pontac and Alicante Bouschet, as well as Cinsault and “the usual Swartland varieties.” He has been pulling out Cabernet Sauvignon and working hard to condition the soil with manure, as well as “pruning properly,” to increase bud fertility in the slightly unloved vineyards he inherited. He has also been busy sowing cover crops – fava beans and lupins – that add nutrients to the soil, all of which is helping get yields up to around five tons per hectare from the three tons when he took over. It’s an interesting philosophy, but clearly one that has been formed through long experience – having been born into a wine producing family, he has also worked in Château Angelus in Bordeaux, Alain Graillot in the Northern Rhône and Wither Hills in New Zealand. Amongst the unusual things the vineyard has given, is a barrel of the Portuguese variety Fernão Pires (since pulled out), made as a straw wine and sitting high in the old winery, left to see what happens to it. “It might maderise,” says Adi, “which could be nice.” This year he will bottle one cask of Muscat and release it under the Secateurs label, probably with around 10g/l of residual sugar, “which is where the ferment stopped,” he says. He has also sourced some ancient Palomino, from the same old vineyards planted in sand dunes on the west coast where Eben Sadie buys some fruit, but which Adi will make as a Sherry style. Badenhorst’s Chenin Blanc is known locally as the ‘soft and gentle’ wine, not because of its style, but because that is a phonetic translation of “secateurs”. Lovely cream and oatmeal, Graves style richness and yet juicy freshness. Delicious palate, creamy in texture, with racy citrus lime freshness and loads of crunchy yellow apple cut to the acidity. Just delicious and so sippable. 90/100. Fermented in Foudre, then transferred to concrete tanks where it spends 20 months on its lees. Adi tells me there are 10 to 12 different white grapes in the blend, but based around Chenin, Grenache Gris, and “lots of bits and pieces including Chardonnay, Palomino and Semillon.” This has much more of a funky, wild yeast nose than the Secateurs with straw and gently earthy notes over oatmeal and the base of very sweet, nicely nutty and ripe apple and even peach. Lovely texture, rich and rolling, with that core of intense, concentrated sweetness all folding into dry, fruit skins and white acidity, a lovely pithy and zesty finish stops any hint of flabbiness. 93/100. Swig will have 600 half bottles of this in June – 60% of the entire production. With only 12.5% ABV, this comes from a Solera system and was “tough to get approved by the wine certification board,” according to Adi. It is made mainly from Chenin Blanc with some Chardonnay and eight other varieties. It has a fairly deep, golden colour and a delightfully sherried nose, showing a Jura-like, oxidised nuttiness. Lovely combination of those funky, nutty, marzipan notes and a deeper yellow apple character. Beautiful Fino-like freshness and texture, that lovely nutty and leafy character and a delicious lanolin quality, dry apple cores and beautifully balanced and dry in the finish. 93/100. A couple of hundred six packs will be coming to UK importer Swig in June. Cinsault, Shiraz and Grenache, again with “a few other bits and pieces.” Adi says this is bottled really early (indeed by time of my visit, just a couple of months after harvest) and is for drinking now. It is fermented without cooling at 28 – 30C and has been left with just a touch – 5g/l – of residual sugar, which is where is stopped fermenting. Lovely nose, with cranberry, redcurrant and a hint of strawberry and cream coming through. A lovely herby tone on the palate too, with real tang and freshness, the rose hip and dryish cranberry character is quite savoury too. 87-88/100. The blend is around 80% Shiraz and Cinsault with some rosé wine blended back in. Lovely, full, creamy chocolate berry nose that has a little briary, sappy quality, a touch of roasted fruit, but not about over-ripeness, just that character. The palate has deliciously juicy texture with buoyant fruit quality and that stemmy, slightly sappy character again to give lip-smacking freshness. The tannins do add some grip, some roughening texture that is really pleasing, with a crisp, nicely tart note of cherry skin acidity in the finish. 91/100. Mainly Shiraz and Grenache, although this cuvée used to have a bit of Mourvèdre, “but “Mourvèdre and I are not friends,” according to Adi. There’s a little Cinsault and the Portuguese Tinta Barocca too. The juice is left on skins for six months, whole bunches, and finished in big old foudres. Lovely bloody, dried blood and dark red fruit perfume, with a touch of briar and undergrowth adding more complex notes. The palate has a plum and cherry skin tartness and grippiness, with that lovely squirt of fresh juiciness playing against those bigger tannins framing the fruit, a lovely core of cherry acidity, it all comes together in a beautifully savoury, long and moreish finish with the dry, fruit tannins coating the mouth. 92/100. A new name causing quite a stir in the Swartland is Porseleinberg (which takes its name from the Kaolin clay in the soils here, once used to make Porcelain). The project is the love child of Marc Kent, one of the Cape’s most influential figures with his Boekenhoutskloof and Porcupine Ridge labels, and viticulturist and winemaker Callie Louw. In fact the project started in 2009 with the purchase of the land, some of it planted, but much of it a slate-strewn and impossibly rugged slice of virgin mountainside. Callie (right and below) bears the scars of the four years of backbreaking toil it has been to plant and nurture the Syrah and Grenache vines (quite literally – “We’ve rolled three tractors working on it so far,” he says). The new vineyards are mostly densely planted bush vines with some slopes trained on wires, and all farmed organically from day one. As Callie explained “The whole mountain is slate with very little top soil, so excess vigour is not a problem – no soil, very little rain, and all organic farming means our yields are naturally low.” The slopes really are amazingly steep and massive physical effort has been needed to break up the slate and huge boulders. As we stand high on the hill, precariously balanced on a three-foot pile of broken slate, he looks around somewhat wistfully “It’s hard graft. This is a super difficult farm; I’ve never worked on such a difficult farm.” One gets the impression that travelling to glamorous events to speak about his £60 a bottle Syrah is not for Callie. So far, only the first vintage from these young vines has been released and he is adamant that producing around 1,000 cases is as big as he ever wants to be. Extra fruit can be used by Boekenhoutskloof he says. “I’m a farmer, not a winemaker,” he continues, “and for me the wine is just proof that we’ve got the farming right”. All ferments here use only natural yeast, no destemming and no sulphur after an initial dose (“After ferment there’s not a gram of sulphur left,” says Callie). The cellar contains new concrete tanks from France, a few concrete ‘eggs’ and a big wooden foudre, but no small barrels. “We harvest super small berries, so you do not want to over extract,” says Callie, and though his initial 2010 vintage is sold out from the farm, he is determined to hold back the 2011 longer to soften the tannins, so he will probably not release it until 2014. Callie has that obsessive gene but a very clear and uncluttered approach to what he is doing. That extends all the way to him hand embossing every label using a wonderful antique Heidelberg printing press that he reconditioned, and a delicious bowl of meatballs and mashed potato he prepared for lunch. Porseleinberg will make only one wine, and that will be in very short supply. An initial selling price of £50-plus must have raised some eyebrows, but a visit here to see the determination that has been needed and the attention to detail being applied really does explain why. Made in 65% foudre, 35% concrete eggs from French firm Noblot, this is pure Syrah. It has an elegant, Northern Rhône style, and immediately reminds me of Mullineux’s ‘Schist’ cuvée tasted the day before with a beefy and bloody streak across the ripe plum fruit. There’s a nice trace of vanilla in there, but just a trace, the mineral, lightly earthy tones and that gamy streak the dominant forces. The palate has beautifully pure fruit, such lovely ripeness and sweetness, there’s a juiciness and a fresh raspberry jamminess, but at the same time fine tannins at the core are firm, dry, with lots of dark fruit skin bite and tartness and very good acidity. Delicious stuff, really good length and concentration without any thickness. 93/100. The producers of Swartland are a remarkably united bunch, coming together frequently and always happy to drink, discuss and show each other’s wines. There’s a real collective mentality here, perhaps through those laid-back, hippy origins of the region or the frontier spirit of being pioneers in establishing Swartland as an area of quality wine production. At a ‘speed dating’ set of tastings held in the cellars of Mullineux Family Wines in the centre of Riebeek-Kasteel, five of the area’s producers came together, each to present three or four of their wines in fairly quick fire one-to-one sessions. Therefore the background notes are relatively brief for each estate. All of these wineries have signed up to the ‘Swartland Independent’ initiative. Amongst the interesting set of conditions of membership, wineries must not add yeasts, acids, tannins, enzymes, or fining and filtering agents when they make wine and they must never use more than 25% of new oak to mature a wine. When I last visited Chris and Andrea Mullineux’s little cellar in 2010, the building had literally just been constructed and was empty all but a few barrels. How nice to walk through the door to see every spare inch of floorspace occupied by both their winemaking tools of barrels, tanks and machinery, and a healthy amount of stock packaged up and ready for shipping to eager buyers around the world. The Mullineux’s enjoyed overnight success (well almost) when their first release since striking out on their own after years at Tulbagh Mountain, included a 96-point score from Robert Parker. Their initial core range of a red, white and straw wine is still at the heart of the business, but a clever second label called Kloof Street, made from fruit sourced from across Swartland, is available in larger volumes. Both ranges are made to the Mullineux’s same exacting standards, Mullineux’s wines are imported by Berry Bros. & Rudd, Swig, Jeroboams, Vincisive and Handford. See all stockists on wine-searcher. The blend is 76% Chenin Blanc, 17% Clairette Blanc and a touch of Viognier, vines from the three main soils of the region: iron-rich ‘Koffieklip’, granite and schist. The wine is made in foudres and aged in neutral oak barrels for 11 months. Lovely nose, a real smoky, flinty character here joining the preserved lemon and dry apple. The palate has delicious texture, and I love the pear and very ripe apple/melon fruit, the Viognier adding a little hint of juicy nectarine. Delicious finish, very sharply defined despite the wine going through full malolactic. Powerful but fresh and 91/100. Just released, seven different vineyards covering the different soil types provide the fruit for this wine. Around 30% is whole bunch, and it is aged in 10% new wood. Delicious white pepper-sprinkled black fruit, really juicy, really supple, with the fruit retaining a cherry and briary, rosemary garrigue edge into a fresh, really long finish with a little spice and terrific freshness. 91-92/100. One of two special bottlings, this one from purely schist (slate) soils, its partner from purely granite soils completely sold out. The wine is 100% whole bunch, and sees around 50% new wood, but 500 litre barrels. Because of that it is not released under the ‘independent’ stamp. Lovely briary and stemmy character, abundant fruit, a touch of beetroot, tomato paste. The fruit has lovely texture and juiciness, a real blood and dry, very dry cherry skin acidity, with a lip-smacking juiciness, the touches of chocolate and that beetroot character giving layers of complexity along with the juiciness. 93/100. The David in question is David Sadie, a distant cousin of Eben Sadie, but wishing to avoid any accusation of ‘cashing in’, David has dropped his surname from the label (pictured right with wife Nadia). 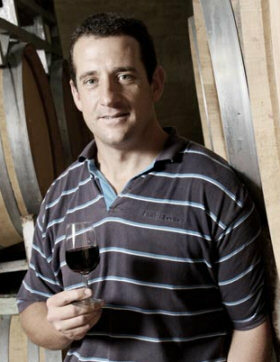 Born and bred in the Swartland, David has extensive experience having worked at Waterford and Rustenberg, but also in New Zealand and France where he spent time at Château Quinault and with Yves Cuilleron. Nadia is a qualified viticulturist too, and the couple’s first vintage under their own steam was only in 2010 – a mere 713 bottles – though now that has risen to 4,000 bottles in what remains very much a boutique operation. For now they make wine in rented cellar space (rented from Saronsberg winery in Tulbagh, where David still holds down a day job as winemaker) and they buy their fruit from 13 farmers in Swartland. There are four wines in their range, some still only amounting to a single barrel. David wines are with Vincisive in UK, though the next shipment is not due until the autumn. See all stockists on wine-searcher. This is old bush vine Chenin (with 5% Viognier), two barrels only, and only older barrels. Attractive fresh nose, not hugely aromatic, but has a nice apple and citrus freshness. The palate has a delicious crunch, and it has a fresh white apple fruit as well as a little hint of ripe pear succulence, finishing very cool and salty-dry. 88/100. The blend for the top white is 49% old vine Chenin, 21% Viognier, 20% Clairette Blanche from old bush vines and 10% Chardonnay. Four barrels are produced. Extra richness here, that touch of honey to the fruit, and a nice hint of lifted, more tropical, nectarine peachiness and juiciness, but this has a lovely texture and finishes completely fresh. 90-91/100. Twelve months ageing in older barrels for this wine from an organic vineyard, with 10% Shiraz added immediately after fermentation. Around 30-40% is whole bunch. Delightfully dry, nutty Grenache nose, very expressive with dry, dark and dried fruits. The palate has real juiciness, the dry tannins add a nice roughening grip with a good, lively character coming through. Nice and light, very drinkable. 88-89/100. A new release, this blends 40% Shiraz, 30% Carignan, 25% Grenache and Cinsault, aged in old barrels again. Fine, rich and elegantly lifted nose, some cherry and kirsch coming through. A more solid polished wood and cassis note too, nice intensity. More mouth-filling, a dry tannin structure again, and dry but more luscious fruit, and a nice long finish. Delicious again, with plenty of fruit. 90/100. Winemaker Craig Hawkins and his partner Carla Kretzel – daughter of the owning family – led me through a tasting from this important vineyard estate in the Paardeberg which supplies grapes to other wineries as well as for their own production. This is another of the original quality Swartland farms, the first vintage from Lammershoek was 2000, with a switch to farming organically since 2008. There are 96 hectares under vine on the 200 hectare estate. History shows that the first vineyards were planted on Lammershoek in 1750, original plantings including varieties such as Harslévelü and Tinta Barocca, and you will note that some of that exotic old vine material still crops up in various blends from Swartland producers. Paul and Anna Kretzel purchased the farm in 1995. They continued to sell all of their fruit until setting up the Lammershoek label in 2000. The LAM Range is their more affordable second label. Lammershoek is imported by Fields, Morris & Verdin. See all stockists on wine-searcher. A blend of Chenin, Viognier, Chardonnay and Clairette aged in old 600l oak and in concrete tanks. Nice nose, a touch of something like clove, and crunchy orchard fruit beneath. The palate has really nice fruit – a blast of orange or tangerine, and the nice dry apple character coming through too. Juicy acidity and finishes fresh. 89/100. Always a selection of Chenin from the nine different vineyard soil types on the farm, four vineyards constitute this 2010 release, the wine again only aged in older oak for 11 months before finishing in concrete. Really interesting to see the clove note again, just slightly medicinal. The palate has a lovely rounded feel and sweet fruit, the pithy lemon and grapefruit of the finish is good, and there’s a saline touch that is lovely and dry. 90/100. This is sold as an own label wine in Fortnum ∓ Mason too. Made for FMV as a house wine/own label. Lots of whole bunches and stems in the ferment. Quite reduced on the nose, a little tough to get past that at this stage. The fruit is racy, fresh, very youthful. 85/100. Syrah, Carignan and Grenache spend 11 months in 500 litre casks. The 35-year-old Carignan is grown on limestone. A little touch funky or reduced here, that little niggling note of dankness. Nice black and red fruit combine on the palate. Very dry, lots of juice, lots of freshness. 88/100. From the two most expressive Syrah vineyards on the farm according to Craig, one planted as bush vines the other on the highest part of the farm with quartz-rich soils. It spends one year in Foudre, then six months in bottle before release. Nice rounded, chocolaty tones on the nose, with a solid black fruit character. Very smooth and juicy with a real squirt of cherry skin juiciness, and a little touch of herby character. 90-91/100. Chenin Blanc from the same two 60-year-old vineyards that go into the white. Crushed into the press and left overnight with 15% of the juice from air-dried grapes, then into older barrels for nine months with no topping up to encourage a touch of natural oxidation. Only 10% abv with 240g/l residual sugar and 10g/l of acidity. Superb marmalade, glycerine and lemon, with a lovely barley sugar richness and those complex tobacco and tea leaf notes. Rich, thick, glycerine and marzipan stuff, but delightfully fresh too. 92-93/100. 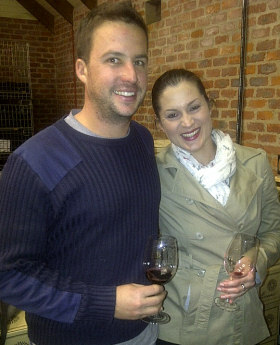 Johan Meyer (right) is the youthful winemaker at Mount Abora. Once a bulk grape producer (indeed, in the 1900s the owning Steyn family founded the enormous Swartland cooperative), it has been all change in the past couple of years. Until then the operation was known as Meerhof, but Johan says “the change of name is part of the casting off of the old bulk wine business.” He goes on to tell me that since his appointment the company sold everything they had to sell in the cellar, and started again with empty tanks and a whole new direction. That work began in the vineyards, where they have started to re-classify the vineyard blocks and make small batches of wine, all within the Swartland Independent rules so using natural yeast, minimal oak, etc. There are 30 hectares of vine that are divided into these small parcels – other blocks are still sold as bulk wine – but these post-2011 parcels are bottled as their own. Wines available from July via The Wine Treasury. See all stockists on wine-searcher. With only 12% abv this has a natural yeast, gentle earthy, straw-like character with a hint of flintiness. It comes from unirrigated bush vines planted in shale soils, giving very low yields and only 20% was aged in barrels, but all big and old casks. It has very nice fruit on the palate, a lovely hint of light honey or nectarine skin softness, with a core of very taut, fresh lemony character that is long and flavourful. 88-89/100. 100% barrel fermented, but no new barrels, aged for a further 11 months in barrel. It comes from three different blocks, made up of schist, granite and shale and the 25- 60-year-old vineyard is again dry farmed. Lovely touch of apricot and passionfruit at first, grapefruit and definite exotic notes here. Very ripe and plush fruit in the mouth, the oak hardly noticeable, but the richness of the fruit and slightly more textural weight fills the mouth. Lovely spicy but clean and fresh finish. 91/100. Quite funky on the nose, 100% whole bunch fermented, foot trodden then very few punch downs for gentle extraction. The 12.5% abv is through early picking and only into older barrels are used to mature the wine for 11 months. It is a little bit reduced, a little bit funky and that combines to slightly masks the fruit. Dry and racy on the palate, cherry skins and fresh dry tannins. Light and more enjoyable on the palate than the nose. 86-87/100. A very interesting work in progress, and another Swartland estate to watch. Hughes Family Wines bottles its only two wines – a white and a red – under the Nativo label. Based in Malmesbury, the man behind it is Argentinean-born Billy Hughes along with his wife Penny. Billy’s father was an agricultural engineer in Mendoza, and since arriving in South Africa in 1990 he harboured an ambition to grow grapes and make wine. In 2000 he bought a 27 hectare wheat farm, and immediately set about re-planting with vines on the red clay soils of the farm. The first harvest was 2004, and since then Billy has switched to organic farming and will be certified as organic from 2013. The Hughes family do not have their own cellar for the moment, but they have recently taken on a winemaking assistant from Rioja in Spain. ‘Leave the vines in peace,’ is the philosophy, and the organic farming of unirrigated vines, use of only natural indigenous yeasts and continuing exploration of the different vineyard plots and nine varieties they have planted all point to another interesting name to watch. Nativo is distributed by Revolution Wines of Wimbledon. See all stockists on wine-searcher. A blend of 60% Viognier and 40% Chenin Blanc, this has a fine pear and lemon nose with peachy tones coming through. Lovely palate, full and rich with lots of power and structure, masses of acidity but also masses of alcohol and spices, a big powerhouse style, but good. 89/100. A reversal this year with 40% Viognier and 60% Chenin – there was less Chenin in 2011 only because it would not ferment to dryness. A nice herbal character here, a bit of crunchy apple and nuttiness, but the Viognier still comes through with nice peachy fruit. Lovely and racy with very good acidity now and much fresher – a really nice wine. 90/100. A blend of 60% Shiraz, 12% Merlot, 11% Grenache, 10% Mourvèdre and 7% Pinotage, each vinified separately and “very few” new barrels are used to age the wine for one year. Deep and plummy fruit, with a rich earthiness, a touch of blue/black intensity coming through. A touch of schisty/coal note. Very nice fruit, plenty of spice and lots of grip and cherry skin fruit, but racy. Perhaps a little hot in the finish. 89/100. This vintage is 57% Shiraz, similar proportions of other grapes but a little more Grenache and less Pinotage. Much racier and fresher on the nose, with a touch of peppery quality and a fresh cherry note. The palate has lovely fruit, but it is a very tight wine, fairly closed and firm, but has a nice structure and a juiciness, and I like the balance again, perhaps because of that lower alcohol. 90/100, potentially a little more. Along with de Trafford and Tamberskloof, Keermont’s vineyards lie in the natural amphitheatre of the Blaauwklippen Valley formed between the Helderberg and Stellenbosch mountain ranges. In common with so many estates here in Stellenbosch, they do like to remind us that farming here goes back to the 17th century, but the reality is that it was not until 2005 that Keermont became dedicated to wine. Until then vines were mostly grown as rootstock for other farms, and agriculture was mixed with fruit orchards and flowers amongst its crops. In 2003 the farm was purchased by Mark and Monica Wraith and several years of planting followed to reach the current 27 hectares under vine. In 2010 they converted a disused spring water bottling plant on the property into a winery. The amphitheatre shape, cooled by breezes from False Bay only 12 kilometres away, allows plantings at different orientations from sunny north to cooler south, and at different elevations up to 400 metres above sea level. I met up with winemaker Alex Starey, on board since the project began, as we visited a high and hugely windswept vantage point in his highest vineyard. Alex came back from overseas, originally to work for neighbouring de Trafford, and has been instrumental in the new plantings that supplement a few hectares of 40-year-old Chenin and other varieties on the property. “Today the planting is much more site specific,” he tells me. “We are planting on red clay/loam with lots of quartz in some areas and some patches of river stones too.” We walk around some of the vineyards as he explains the research that went into choosing just the right rootstocks and clones, and trials to find the best planting and training systems too, like the single post-supported bush vines à la Hermitage used for Syrah. As well as Syrah all five Bordeaux varieties are planted, and “We never acidify, inoculate or filter. It’s as natural as possible,” says Alex. 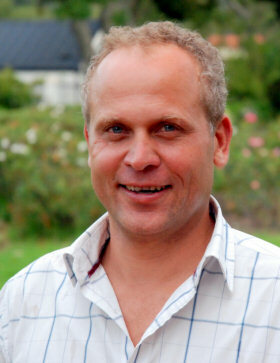 In 2012 Keermont plans to release some single block Syrah too. The blend here is 30% Chenin, 30% Chardonnay, 30% SB and 9% Viognier – Alex explains that rot problems affected the Chenin this year. Fresher, more direct, perhaps a little pear drop tanky character, but then the citrus and freshness comes through a touch more Sauvignon Blanc vivacity. Lots of juiciness, lots of juicy peach brightness from the Viognier, but Alex thinks will subdue. 89-90/100. Not yet released, but finished and bottled. One of the hotter, drier vintages with a big crop, this has a meaty 15.5% abv and comes from elevated parcels of vines planted in 2006 on red clay and rocky soils. Partly whole bunch-pressed, and vinified in a mix of concrete, steel and barrel to aid complexity. It is a natural ferment and the wine spent 28 days on skins before ageing in 500l barrels, 5% new. Delicious mineral smokiness, a touch of background leafiness, and light, pure black fruit. Palate has lovely gravelly character over very pure black fruits. Lots of juiciness again here, lots of tangy, plum skin grip to the tannins, that fine tart skin character giving grip and freshness. Well balanced despite a little residual heat from the alcohol. 90/100. partly from the estate’s most elevated Merlot, Alex says: “I had just come back from Priorat and this vineyard reminded me of it.” 15.5% abv again, and a cuvée first released in 2007. This year the blend is 49% Merlot, 33% Malbec, 12% Cabernet Franc and 6% Syrah. More sorting and de-stemming here than in the Syrah, vinified in smaller vessels, parcel per parcel. The wine was aged in 225l barrels, 20% new. Lovely, refined nose with a perfumed, lifted note that has a cherry and floral note and more aromatic lightness given that the alcohol is as high as the Syrah. Juicy and savoury and delicious, with a tight, liquorice note and a grippiness to the tannins. 91-92/100. From vine-dried fruit, the cordons of the Sauvignon Blanc (85%) and Chenin are cut then harvested after three or four weeks. It is fermented old barrels, and though the ferment is natural, Alex says “it can be very temperamental, stopping and starting.” Delightful golden colour, lots of straw and orange, a bit of barley sugar, with a lovely palate of fresh, vivacious fruit, a dry nuttiness and lots of freshening acidity. 126g/l residual sugar. 90/100. I think it’s fair to say that David Trafford knows the Blaauwklippen Valley better than anyone else. His parents bought the farm, at that time virgin land, in the 70s as retirement project. In this disease-free, clean area protected by the once impassable mountains on either side, they established a rootstock farm – nurseries of disease-free rootstock to supply the wine industry. “But,” says David, “cutting little sticks and selling little sticks was very boring so they decided to start making some wine.” The De Trafford farm is at the end of the road leading up through the valley, sitting at around 380 metres above sea level. Between 1984 and 1991 a little wine was made, mostly for the consumption of family and friends. It was in 1991 that quota restrictions affecting the whole of Cape wine production were lifted and the family immediately established a winery and began extensive plantings of red wine grape varieties and Chenin Blanc. This is a determinedly boutique operation producing only 3,500 cases, and made by a man with a very clear idea of the style of wine this Valley does best. De Trafford’s reds are big wines, weighing in with 15-15.5% alcohol on average and big in flavour, concentration and structure. Qualifying originally as an architect, he says “I never chose winemaking as a profession – it was thrust upon me. I live on land with such great vineyard potential that it was impossible not to get involved in the wine business.” Indeed, despite the slightly ‘blockbuster’ nature of these wines, they are impeccably made. Since the start only natural yeasts have been used for fermentation, and the concentration is brought about through dense planting and careful management of the vines. The only dry white wine in the portfolio, this is barrel fermented and mixes grapes from Blaauwklippen and another farm near Somerset West. It has a lovely honeyed nose, and 15% ageing in new oak adds real nutty tones to the apple, just hints of vanilla too. The palate has lovely acidity (there is no malolactic fermentation) and fresh lemony cut to the richer style. A bit of orange and tropical fruit builds, but it has lovely purity and length. 90/100. In this vintage a huge fire might have affected the wines slightly. The 2009 vintage has 15% abv, and this wine has been made since De Trafford started in 1992 “The Merlot stood out as a complete wine on its own,” says David, “so we decided to bottle it as a varietal.” A touch of tomato-leaf green character, and yes a bit of smokiness. Clean, ripe black fruit. The palate has a lot of structure, a lot of ripe and creamy black fruit, a tight, fresh finish with the alcohol not too bothersome. 90-91/100. There’s also “a little bit,” of Merlot and Petit Verdot in this 15% abv wine blended from estate and some bought-in fruit. Delightful spice and tobacco character, that touch of cedar. Plenty of pure, silky cassis fruit and very clean and deliciously smooth and rich. The palate has a tight, juicy character, with lots of creamy and crisp, fresh flavour, quite aromatic with a little anise and liquorice and a long finish. 90/100. 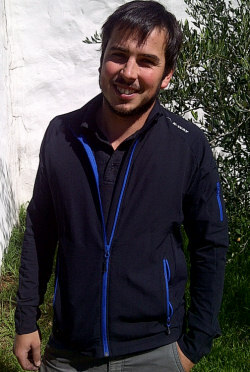 A lot of wind damage in 2010 reduced the crop in this wine from a vineyard planted at 393 metres around David’s house. It has 15.5% abv and us aged in 50% new oak, “but very neutral, light toast,” says David. The fruit is really to the fore here, with a little floral note, and a background showing a touch of resin from the oak only, no toast though. Nice and pure. Massive sweetness and ripeness on the palate, a great juiciness at the core of this, the fruit sweetness all encompassing and even a touch confiture, the tannins fine and ripe and well-balanced with a subtle acid core keeping it fresh despite a little alcoholic heat. 90-91/100. A more moderate 14.5% abv from a good vintage, this is Cabernet Sauvignon with 20% Shiraz,27% Merlot and 13% Cabernet Franc aged in 100% new oak. A leafy, herb and green herb and olive tinged nose with a lovely gaminess and the refined black fruit beneath is savoury and pure. The Palate is delicious, no sign of the greenness in the fruit or tannins, with a touch of coffee and game, the pure cassis and spice filling in to a long, deliciously balanced finish. Terrific and long. 93/100. All Chenin, dried on racks under the trees for three weeks before natural fermentation in older barrels. This took two years to ferment and ended up with 11% alcohol and 250g/l of residual sugar. A darker more caramel colour than the cordon cut wine from Keermont tasted alongside, this has a honey and lemon glycerine nose, with viscous, rich palate creaming over the tongue, that intense fruit sweetness, a touch of glacé fruits and the toast and a touch of coffee in the finish. delicious balance with the juicy tang of tangerine freshness. 93/100. The Kleinood farm is the third name of the Blaauwklippen Valley, the land purchased and planted only in 2000 by Gerard de Villiers and their first release in 2005. Gerard is a direct descendant of Jacob de Villiers, a name synonymous with the birth of the Cape Wine industry when he set up the Boschendal wine farm in 1688. Gerard and his wife Libby say they found “a piece of land that stole our hearts,” when they discovered Kleinood complete with its river and a pristine indigenous forest. Kleinood is an Afrikaans word meaning ‘small and precious’. Wines from the estate appear under the Tamboerskloof label. Shiraz, Mourvèdre, Roussanne and Viognier were planted on the sunny North and West facing slopes, which winemaker Gunter Schultz (right) told me were mostly sandstone with some red clay. Once again, the planting here has been informed by South Africa’s current obsession with getting the match of vine to soil perfectly aligned. For their Shiraz for example, four different French Syrah clones were selected for each plot. “We’re trying to make the wines more terroir based,” says Gunter, adding “There’s not a lot of new wood in our cellar – and that’s not a budget issue.” Indeed, before planting 150 inspection pits were dug across the 13-hectare estate in order to really understand the soils. 100% Syrah grown specifically for rosé, this is “picked an pressed almost straight away,” according to Gunter and is a natural yeast ferment. It has a light colour from short skin contact in the press, and 13% abv. Delicate, herb and dry mineral quality, a nice fresh raspberry fruit but not too jammy. Very dry on the palate, with lovely savoury character, has that food-friendly bite and juicy savour. 88/100. Almost all steel fermentation with natural yeast, but a little bit in older barrels. Three different pickings, one for acid “like a Champagne base wine”, says Gunter, then a medium and a super-ripe portion. Delightfully fragrant nose but not too floral, with a mineral freshness and good pear and apricot fruit, but dry and has that natural yeast savour. The palate has lovely balance, with good fruit and a bit of savoury leanness. Fresh and nicely taut. 89/100. With 4% Mourvèdre and 1% Viognier, all vinified in 300 litre and 500 litre barrels, around 20% new. Seventeen different vineyard blocks were fermented separately. Fairly dense colour but with light on the rim. Delightfully ripe, cherry and cranberry, lots of spice and lovely floral, light notes. The palate is deliciously smooth and ripe, with a chocolaty richness, 20 months in oak adding a smoky, creamy depth, and lovely freshness in the finish. The tannins give a fine, precise grip and the acidity freshens. 14.5% abv. 91/100. 14.5% abv again, this has a much brighter, more primary colour. A little reduced at this stage, but airing releases lovely and similar aromas to the 2008, with a little more chocolate and black fruit, a little more spice. There’s a refined touch of gamines and leather adding extra complex, a smoother and richer palate with delicious depth. Will be the better wine with time I think. 92/100. One of the power players of the South African wine industry is the DGB Group, owners of the Boschendal, Bellingham and Douglas Green labels, and producers of around 2.5 million cases of wine annually. 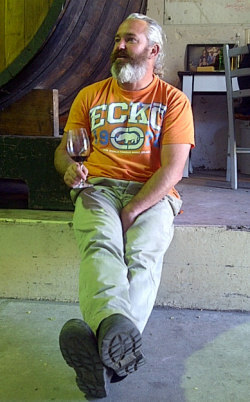 I met up at the historic Bellingham estate, founded in 1685 but part of DGB since 2005, with group winemaker JC Becker. JC talked me through some of the numbers in the DGB Group operation: Each year they crush 7,200 tons, which is only 20% of the total annual needs of DGB, the rest is a négociant business buying already made wines from various cooperative cellars. “We don’t buy off the shelf,” says JC, “we specify what we want and that is made for us by each supplier”. Around 65% of production is exported, and the Boschendal label itself (around 15% of DGB’s total production) is the top selling premium South African wine in the UK according to the latest Nielsen statistics. Despite the scale and style of the operation, JC says “Each of our brands keeps its own identity.” With almost 400 vineyards supplying grapes from across the Western Cape, not only from Stellenbosch but from Robertson, Worcester, Darling and new cooler areas including Elgin, JC says “each is giving different properties: you don’t need to own to control.” To that end, they have full time viticulturists working with their growers, “And we are taking everything from one ton of Tannat upwards,” says JC, which he insists gives the flexibility to source the best fruit for their needs. DGB operates three winemaking facilities at Boschendal, Franschhoek Cellars (for the Bellingham label) and in Wellington “Which is basically the négociant side of the business, with blending and bottling plant,” says JC. This sparkling wine is made by the traditional method, a blend of 50% Pinot Noir, 30% Pinotage and 20% Chardonnay that spends 12 months on lees. Nice fruity wine, with lots of strawberry and raspberry, very easy drinking but dry, and has good balance, nice lemony tang to the finish. 86/100. A Chardonnay and Pinot Noir blend, this has a crisp, juicy apple and lemon nose, a touch of nice nettle and hint of yeast, just a hint of guava. Quite a biscuity richness on the palate, with a little grip of preserved lemon and good freshness. A nice bit of phenolic grip here to add a touch of seriousness. 88/100. 70% Chardonnay from the farm, the rest from Elgin. On lees for 5 years this is extra dry with only 1.3g/l residual sugar. Toasty and yeasty, good caramel and honey, nice apple beneath. Delicious, dry palate, with lots of lemon and apple juiciness, nice dry finish, perhaps would like a touch more length. 89-90/100. “One third from Paardeberg for apricot fullness, one third from Bottelary for structure and lime, one third from Somerset West for citrus,” according to JC. That lime and straw/wheat character is there, really ripe pear and Ogen melon, but deliciously vibrant, a little touch of almond or honey enriching the finish, but lovely balance with crisp white fruit acids and a 5.8g/l touch of rounding sugar. In Majestic at around £8.99. 87/100. Tank sample, lots of real vivacious tang, lots of punch, lots of vivacious fruit with a streak of gooseberry but lots and lots of more guava and mango fruit, with freshness, a touch of rounding, leesy weight and good citrus acidity. A very stylish wine at the price. Will be £8.99 Tesco and Co-op. 87-88/100. Tank sample, 200,000 litre production, 70% aged in oak, only 10% new but all on the lees for nine months. 40% of fruit from Elgin. Delightful nutty and orange richness, but the creaminess is there too. Powerful palate, lots of fruit, but the supporting oak adds spice and toasty layers beneath. Very stylish. 88-89/100. £8.99 in Waitrose. 60/40 blend. Savoury in style, not overtly luscious. A bit of cedar, a bit of sweetness and cabernet greenness just adding and extra savoury element. 87-88/100. In Waitrose and Booths. Quite a cool black fruit nose, sprinkled with a little white pepper, and a meaty, savoury almost quite gamy touch to the aromas. Fantastically pure fruit on the palate, with lots of juicy and liquorice bite. Delightful, really tight, lots of spice and pepper and a tangy, gamy, lots of crunch and fruit skin tang. 92/100. Around £21.00 in UK. From a single vineyard. More classical, with cedar and a touch of wreathing woodsmoke, that little gamy, meaty character ,like the straight Shiraz. A touch dry, but has lovely fruit quality and there’s a really nice balance, but it lacks the supple, long finish perhaps, finishing just a little spicy rather than fruity. 90/100. Around £30 in UK. Delicious, proper Pinot nose with some plush and tobacco and mellow truffle character, nice dusting of cocoa and spices, the oak (15% new) adding subtle toast but all nicely behind the fruit. Lovely rip[e fruit here, a real supple and fleshy mid-palate, a lovely stripe of fresh acidity and tight, creamy tannins just adding enough structure against the sweet fruit and cocoa-rich, oaky weight on the finish. 89/100. Really crunchy ripe, apples here, rosy red apples and a background touch of herbs or elderflower. On the palate, plenty of sweet, ripe, very mouth-filling fruit, juicy and sweet and fleshy, but finishes with enough cleansing white fruit acidity. 87/100. 50/50 new and second use oak, youngest vines are 42 years old, all bush vines. A touch of hazelnut and definite apple fruit, the palate filled with really nice, honeyed and elegant fruit, a twist of toast and sesame seed, but the clean, lime peel zest in the finish. 90/100. £11.99 Majestic. A nice earthiness, minimal oak means the black fruit comes through, lots of violet and fresh cherry and kirsch, a bit more chocolaty richness on the palate makes this very easy to drink, smooth but with a bit of tannic bite. 85/100. Single vineyard bush vines from Darling. Delightful nose, scented and floral with a rich undertow of coffee and cassis. Quite racy, the blue black fruit hinting at cocoa and blueberry, but there’s a freshness too, spice and a nice finish with lovely freshness and a twist of liquorice. Lovely. 89/100. A blend of 86% Syrah, 10% Mourvèdre and 4% Viognier fermented together. Lovely, big chocolate and deep spice nose, with lots of round, supple juiciness, again that real depth and succulence. Delicious dark and meaty fruit concentration, but delicious and very rich like Dundee cake. 90/100. From Paardeberg and Bottelary and 15- to 20-year-old vineyards cooled by sea breezes. Fermented in open 300 and 500 litre barrels, 30% new, then aged in same barrels for 15 months. Co-fermented with 3% Viognier skins. Very nice nose, lots of supple, chocolate, with the plush suppleness of spice and delicious fruit richness and such sweet fruit playing against the tang and life of the acidity and fine tannins. Lovely. 90/100. £11.99, Tesco and Sainsbury. From a single vineyard planted in 1998. Three pickings at different levels of ripeness for this wine which is aged in barrel, 50% new, for 12 months. Around 5% of each new vintage is blended back into the previous year straight from the fermentation tank to add freshness. “That’s how we get natural acidity given that we don’t have the chalky soils of Chablis,” says Wikus. Plenty of creamy, gently toasty oak, with a touch of brine and saltiness that is pleasing, and a little touch of lime. The palate has a lovely zesty, pure and grippy character, with delightful lemon pith acid and again that fresh, mineral quality. 91/100. A touch more nuttiness, a touch more honey, with a rounder, more buttery character in the mouth, with plenty of freshness again, perhaps tastes a touch more phenolic, but Wikus thinks it could be a small cork/oxidation problem. Not scored. Five barrels only were made of this, the very first release. Naturally ferment from only the third crop of the Pillars vineyard, it has delicious aromatics, with a floral lift, nice rose, even a touch of Turkish delight exoticism. Lovely cherry black fruit and freshness. There’s a twist of liquorice on the palate, the finish now drying a little perhaps, but lovely chocolate-smooth tannins and a really nice wine with great concentration, and a firmness but tannic silkiness to the finish that I really like. 92/100. From a vineyard slightly higher on the mountain, more clay but only five rows used for this wine. Wikus thinks it gives a deeper, structured character. Striking, intense nose, with a real intensity of fruit aroma, with spice and lovely fragrant aromatics but also seems solid and sonorous. The palate is big and pretty dry, the tannins are intense and structured, a bigger wine in every sensory way despite exactly the same alcohol. If this is Barossa, Pillars is Rhone maybe, yet they only 800 metres apart. Lots of spice and intensity of flavour, a long finish – would I drink more of the Pillars? 91/100. A blend of 59% Cabernet Sauvignon, 37% Merlot and 4% Malbec, the Malbec blended back from the 2008 vintage. Matured in 30% new oak and in older barrels. Lovely nose, lots of freshness and cedar, a really nice ashy and mineral edge to it. The palate has lovely juiciness – it seems a touch hot at first, spicy, but the lovely fresh quality of the fruit, savoury and European ion style, with a touch of green phenolic that is lovely in this mix. Delicious 91/100. Eleven barrels were produced of this Cabernet Blend with 15% Merlot, 5% Cabernet Franc and 7% Petit Verdot. Deliciously smoky and stylishly earthy nose, with cedar and a certain ozoney quality, a little more fruit a concentration and richness. Ripe and full, but at the same time staying so fresh and focused. Delightful racy tannins here, food acidity, the red and black fruit tartness lovely against the fleshier, sweeter concentration here. Long, gently smoky and spicy but finishing on fruit. 93/100. Neetlingshof has one of the most beautiful estates in the Cape, its famous kilometre-long avenue of stone pines leads to the Cape Dutch Manor House, which is now home to excellent visitor facilities. Behind sits a massive and modern winery. 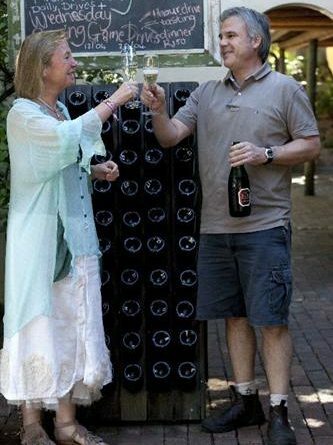 This is the contemporary face of a company that is now a core part of the giant Distell Group, and in particular its ‘Cape Legends’ fine wine division which extends to 21 individual wine brands, most based around estate wineries. 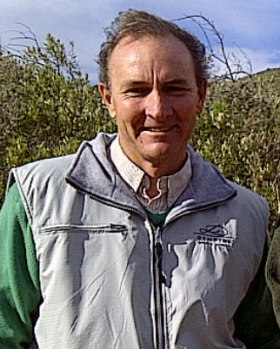 I was met here by winemaker De Wet Viljoen who explained that the 120 hectares of vineyard was divided 50/50 for the production of red and white wines, but that the bulk of the 400ha estate was given over to biodiversity – restoration of the Renosterveld and Fynbos – the Cape’s famous floral kingdom of Proteas and other indigenous species, now being actively reinvigorated on many wine estates through clearing of invasive foreign species like eucalyptus and black wattle. Neetlingshof is situated in the Bottelary Hills, and some Gewürztraminer vineyards from the early 80s are the oldest on the estate and dry farmed. Now 40% of the estate is planted to Sauvignon Blanc, the estate’s land being mostly formed by one huge slope that runs from 80 to 300 metres above sea level, just 15k from the Atlantic coast at False Bay. Clearly this is winemaking some of which is on an industrial scale, but on this visit I tasted only wines from the upper tiers of the extensive Neetlingshof range. Bottled two weeks ago this is the primary, pear drop aromas of ferment, but working through those a hint of ripe tropical fruit and a touch of elderflower comes through, a lemony directness too. The palate has lovely bite and acidity, with plenty of punch. 87/100. Tank sample. Lovely greener notes with fine herbs and a grapefruit character, plenty of subtle zip. The palate has a lovely concentration, terrific punch and pithy, lemon and grapefruit verve. Lots of tight, racy concentration here as well as showing a little of the guava ripeness. Grippy, young but promising. 89/100. Nice smoky notes, a touch of racy, slatey character, with hints of melon and ripe, exotic fruit, but there is a citrus core, and it is lean and racy on the palate too, with a real endive and citrus bite. 87/100. With 7.5g/l residual sugar, this has geranium and leafiness, and very floral and herb character, suggesting dill and Turkish delight. The palate has a touch of very nice sweetness, but it really just softens the edges, staying focused and dry on the finish, with plenty of punchy herb flavour. 88/100. Barrel aged blend of six white varieties, based on Chardonnay, Chenin and Sauvignon with 5% of Riesling and Gewurz, 10% Viognier. Nice, soft, lanolin and toast nose, bright and focused fruit, a touch of peach and of fresh apple. Really nice palate, lots of richness and weight, lots of fresh orchard fruit and some grapefruit and orange acid tang. 90/100. Around 70% matured in barrel. A little reduced, but with airing shows some meaty but good black fruit aromas, a touch of earthiness and just showing a little touch of floral character. The palate has lovely creamy fruit, drinks well with good texture and a touch of chocolate. Easy to drink stuff and a nice, gluggable Malbec but with some depth. 87/100. 12 months in oak, 10% new. Has a little greenness about it, a little tomato leaf and some resinous character. Not entirely convincing on the nose at first, but it begins to open quite nicely, with some chocolate and toast and some plum fruit coming through. Quite chewy in the finish, the fruit staying bright and plum and cherry-focused, with a nice rounding of oak and spice to bolster the finish. 88/100. Single vineyard reserve wine. All Hungarian oak, all new oak. Big, perfumed nose, plenty of creamy and exotic, incense oak, a touch of leather and chocolate, a certain meatiness and has a lovely fruit ripeness and raspberry and cherry fruit, with plenty of chocolate and spice. A lovely, chewy and flavoursome Pinotage. 89/100. Cabernet Sauvignon dominated, with Merlot, and Petit Verdot. Plenty of cedar and incense after 16 months in barrel, but all French. Lovely burgeoning sense of chocolate and deep black berry fruit. The palate has a fine dry character, a nice touch of game and leather and lots of herbal freshness too, with a lovely bite of firm tannin and fresh tang of acidity and fine, sandy tannin finish. 90/100. In Majestic. 9.5% alcohol, 170g/l RS. 80% Riesling, 20% Sauvignon Blanc in this vintage, but will be all Riesling in future (Botrytis permitting). Deep, toffee colour, huge botrytis nose with dried fruits, marmalade and tea, with fresh and herby notes and a touch of barley sugar too. Deliciously rich on the palate, this has wonderful nuances of walnut and orange marmalade, with immense sweetness, and lovely balancing acid, the tea and tobacco nuances are delicious. 92-93/100. This tasting features the wines of Fleur du Cap, plus three other labels within the ‘Cape Legends’ portfolio. It took place in the historic Bergkelder cellars of Fleur du Cap in Stellenbosch, hence it features in the Stellenbosch section of my report, though the other labels are based in different regions: Plaisir de Merle in Paarl, Lomond Estate in Cape Agulhas and the eponymous Durbanville Hills. The tasting features premium wines from each estate’s portfolio. Fleur du Cap’s wines are imported by Crush Wines. See all stockists on wine-searcher. The Unfiltered is the reserve range from Fleur du Cap, cleared by sedimentation. Lovely fresh, crisp nose, a touch of leafy herbs, but clean, fresh and lemony. The palate adds a little more vibrant, fresh, but quite exotic fruit with hints of mango and lychee exoticism, and good racy acidity. Nice spark of freshness and orange and grapefruit freshness. 89/100. In this vintage there was fruit from Cape Agulhas and Elgin in the blend. Racked straight to barrel. Nine months in barrel with battonage. Creamy with a touch of toast and a little buttered cabbage Burgundian character, with some real apple dryness but sense of richness too. The palate has intense, sweet fruit, flooding the palate with exotic flavours, the oak and lees adding a layer of almond and oatmeal silkiness, and a powerful wine though with a clean, quite lemony finish. 89-90/100. Malolactic in barrel and cleared by racking. From two Stellenbosch vineyards, 18 months in new French oak. Creamy black cherry and cassis on the nose, the oak adding creaminess rather than toast and charry character. Complex, creamy nose with good fruit. The palate has a big biting, plum skin tang as well as the sweet fruit, with a nicely dry finish and quite refined tannin quality. Tangy, pure and has some length. 90/100. 10% alcohol and 235g/l residual sugar, 84% Chenin from Stellenbosch, 22% Semillon from Darling and 5% Muscadelle from Plaisir de Merle estate. Beautiful tea leaf and nettle notes adding to the glycerine and barley sugar, the pineapple and lychee richness is there too – a glace fruit quality too. “Will keep for 50 years”. Superb toast and coffee, deliciously rich and vanilla laden, but the tang of tangerine and mandarin really cuts through, the delicious focus, magical length and vibrant finish. Superb and no oak – richness all comes from complex lees and skin contact in early stages of fermentation. 94/100. Lomond Estate’s wines are imported by Crush Wines. See all stockists on wine-searcher. Tight, fresh, crisply fruited with citrus and apple, and has a touch of salty character. The palate is pin-sharp, with a real ripeness to the fruit hinting at tangerine, with really zippy, long finish and plenty of shimmering mineral acidity. Stays on lees for 9 – 11 months with stirring. 89-90/100. Seems to have a little more creaminess on the nose, a touch more fat, but a fine precise fruit quality. The palate has a really dry character – not so much of the tropical hint, a little more direct, but tantalisingly long and fresh again. A cooler, more dry and apple character. 89-90/100. 26 months in barrel. Big, ripe, very glossy nose of full black fruit, with chocolate and a touch mint, very big, very Barossa. The palate has mouth-coating extract, the tannins creamy and rich, with smoke, char and chocolate adding lots of depth and plush weight, but very long and full. 90/100. 24 months in barrel. A touch of eucalypt quality here, a touch of gaminess too. Lots of pepper and liquorice, lots of garrigue aromas. The palate has weight and depth, but there is just a bit more bite and a bit more energy in this cuvee, with tangy acids and the grippy, nicely roughening tannins adding some grip and some texture. 91-92/100. Plaisir de Merle’s wines are imported by Crush Wines. See all stockists on wine-searcher. 65% Shiraz, 20% Cabernet Sauvignon, 15% Merlot. Lovely meat-stock touched black fruit, with some smokiness and though solid and foursquare, seems quite cedary and refined. Very nice sweet fruit, lots of depth, lots of silky texture and weight, with rich chocolaty tannins and a fine acidity keeping it crisp. 88-89/100. In M&S at £8.99. Rounded, lots of violetty, bright fruit and a touch of kirsch as well as a touch of tobacco, but lovely sweetness of fruit comes through. The palate has very nice, sweet and bountiful fruit, lots of power and concentration, lovely long finish with lots of density and power here, a big wine and plum-rich and sweet, but the coffee and big structure is there. 88/100. Seems to be a quite a lot of chocolate and char on this, as guessed and confirmed, more American oak used, a big creamy nose of dark, ripe black fruit. Quite creamy and chunky, with plenty of fruit depth, loads of spice and mocha, but it does have plummy sweet fruit and juiciness, the tang of the finish is good. Quite long, the oak is prominent. 88-89/100. 40% Cabernet Sauvignon, 15% Shiraz, 15% Cabernet Franc, 10% Malbec, 10% Petit Verdot, 10% Merlot. 24 months in barrel, all new. Subtle, refined nose, with very refined fruit, the depth and concentration of fruit shrugging off the oak, which adds just a creamy background, a suede like caressing coffee in the background. The palate has lovely fresh, energetic fruit and tannin, lots dry extract, but lovely balance. Juicy enough and long, and seems very stylish and long. 92/100. Durbanville Hills’ wines are imported by Crush Wines. See all stockists on wine-searcher. Quite subtle, a little floral, with a touch of mango or lychee, leading on to very ripe fruit with nectarine and passionfruit spectrum, again finishing dry but perhaps with a touch of sweet and sour character with that ripe fruit making it seem a little cloying, even though there’s only a touch of RS. 86-87/100. Quite ripe and tropical on the nose, with more fruity character and less green, maybe just an undertow of nettle. Quite a rich palate – lots of texture and weight, the tropical fruit ripeness coming through on the palate. Quite big and sweet fruited this, finishing again with that slightly overwhelming character for me that flirts with sweet and sour character. 88/100. Fine nose, the oak adding a little almond and cashew. Masses of fruit, plenty of fruit sweetness, the oak adding a coffeeish touch to the palate, playing against that sweetness, and finishing with good acidity, but once again the style seems a touch cloying too me, not sweet, but perhaps needing just a touch more absolute freshness. 87/100. 70% Cabernet Sauvignon, aged 24 months in oak then 12 more in bottle before release. Attractive cedary, with fine black fruit, dry and savoury, with a touch of leathery, earthy quality and quite cool, spicy black fruit. Nice palate, lots of savoury quality and hinting at plush ripeness as well as those olive and cedar hints that give a juicy length. Good tannins but relatively soft, adding to the spicy, black fruited and quite easy drinking appeal. 88-89/100. When Johan Reyneke took over the family farm from his father in the 90s, the process of converting to organic farming and then biodynamic farming (certified six years ago) must have seemed outlandish and alien to the winemakers of Stellenbosch. 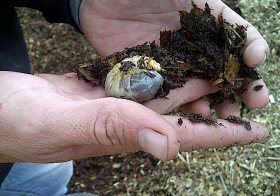 To this day it remains the only certified biodynamic estate in South Africa. Winemaker Rudiger Gretschel (right) walked me around their 25 hectares of vineyard. “The secret of being Biodynamic is,” he began, “to be more about the ‘dynamic’ than the ‘bio’ – being active in the vineyard is what really counts.” Whatever the secret, Reyneke are doing something right as their wines have gained a loyal following and have caused many in the region to re-examine their attitudes towards organic farming practices. The wonderful old Chenin vineyard pictured dates from the 1960s, originally bush vines that Rudiger has converted to a single wire, to give very low and healthy yields. He sows cover crops in autumn, “lupins are other nitrogen fixers,” which are removed in spring. He is building up humus in the soils, and says “Organic material in our soils was 0.9% by volume when we started, now it’s over 4.5% and building all the time. 95% Shiraz. 20% of wine in used casks. Coastal region. Swartland, Stellenbosch and Paarl. Nice full red wine with a chunky, spice and chocolaty black fruit. A nice touch of cedary, gently toasty character. On the palate good fruit, quite solid and chunky again, but it has nice balance and a dry finish – not hugely complex or long, but a very nice drink. 87-88. 45% Cabernet Sauvignon, 36% Merlot and 19% Cabernet Franc. 16 months in barriques, 20% new. Named after Johan’s project with four farm workers, who were built houses and their children funded to go to university. 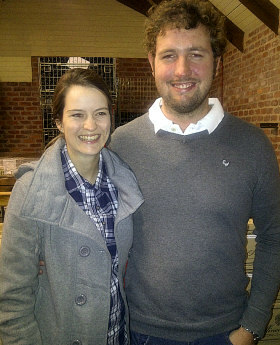 Illiterate dad cellar assistant who started at 14, and daughter Lizanne now studying marketing in Cape Town. Really bold black fruit, lovely cassis creaminess and ripeness. Very bold and fruit-driven, with cocoa and chocolate, and a touch of cedar. On the palate it is juicy and liquoricy, with tart fruit skin acidity and tight, firm tannins, the black fruit juiciness is maintained throughout and the finish is pert and dry. 90. 90% Syrah, 10% Cabernet Sauvignon. Working more with lower pH 3.69, almost 7g/l of total acidity, less new oak, trying to make it fresh to begin with, manage the tannins so that the wine will age and improve for a decade, something that earlier vintages and not all Cape wines achieve. Lovely nose, more fruit forward than the Shiraz, a more substantial, supple seeming core of riper fruit, but still with the cedar and the hint of schist and pepper. The delicious fruit on the palate is creamier and a little more coffeeish, with lots of juice again and a firm, central spine of tannin and that signature juicy acidity that suggests this will age. Lovely, balanced stuff. 92-93/100. 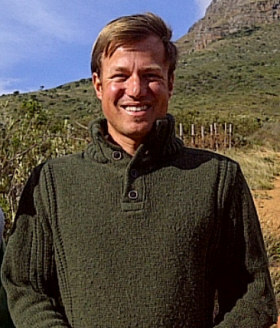 Charles Banks is the American former co-owner of Screaming Eagle and current owner of not only Mulderbosch but Fable Vineyards from Tulbagh and Mayacamas in the Napa Valley amongst others. 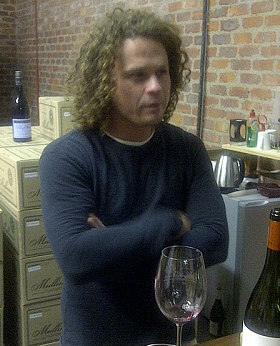 Adam says “Charles’ global wine business, Terroir Selections, bought Mulderbosch thinking that with the correct marketing and investment it had a big potential in the US.” At present the biggest export market for Mulderbosch is Sweden who take 50% of exports, but from now on the focus will be much more on US. In terms of winemaking, this is a farm focused on white wines. Only 9k from the ocean, conditions are favourable. All ferments start wild, though Adam likes to finish with inoculated yeast, just to make sure the wines ferment to dryness. “Most of the interesting aromas and flavours are developed early in ferment, so the wines benefit almost entirely from the wild yeast”. 13.5% Middle. Again much more subdued aromatically, with that sesame nuttiness again, and a hint of honeyed richness and intensity here that was not quite in the middle wine. Lovely concentration and light layering of honey over the lime and fat lemon, just hints of tropical. Very nice length here, the acidity fresh and lemon tangy. Delightful and refined stuff. 93. When jeweller Laurence Graff, Chairman of Graff Diamonds International, bought the Delaire estate in 2003 I suspect not many people could have guessed at the transformation that would take place to turn Delaire-Graff into a fabulous, hedonistic destination. Graff is on record as having “vowed to transform it into South Africa’s most desirable art, hospitality and wine destination.” He has certainly carried through on the promise, the estate now featuring not only the winery, but a world-class collection of African art, Relais & Chateaux hotel, two restaurants and a luxurious spa. For some Delaire-Graff might verge on the OTT given the conspicuous luxury that surrounds the visitor, but it is now a very important Stellenbosch estate and, more to the point, the wines are good. 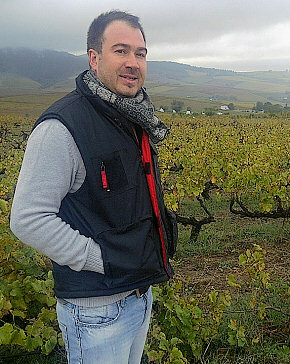 Delaire-Graff is a Bordeaux varieties and Chardonnay specialist, overseen in winemaking terms by Morne Vrey (right). 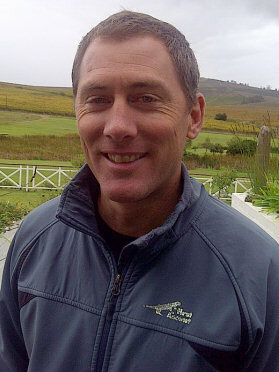 Morne has been on the team here since 2007, and has been senior winemaker since 2009. There are two full-time viticulturists too, and a state of the art winery that gleams with modernity. Morne is a quiet and understated character, but an experienced one. Work in France, Germany and New Zealand preceded his return to South Africa an position at Delaire-Graff, and he exploits the technically dazzling winery, opened in 2008, to very good effect with beautifully made wines that perhaps play a little too safe, but I suspect that is exactly what the doctor ordered in this meticulously-planned operation. 65% from Oliphant’s River way up on the west coast one kilometre from the sea and 350 kilometres north of Cape Town. Sandy soils, a layer of salt. Restrained, clear lemon and crunchy, cool fruit, a touch of ripe Asian pear. That cool, salty character really comes through on the palate, a real saline note keeping it savoury, and finishing bone dry with a tang. 87/100. All Swartland fruit, vineyards 30 to 70 year old bush vines. Fermented in 400 litre barrels, 25% new. Very crisp, very fresh, no battonage or malo to retain acid freshness. There is a hint of nectarine juiciness too and again that hint of saline. The palate has a big, pithy orange peel and pith acidity, and wonderfully racy finish. 89-90/100. Predominantly fruit from the home farm and the rest from around other Stellenbosch growers. Barrel ferment in 225s, no battonage and minimal malo as required. The oak is a little more, prominent, but there’s a citrus skin tang too. The palate has lovely, taut style, very lean and pure – a mountain stream freshness and clarity, very restrained and intelligently made style. 90/100. From cooler sites, giving a bit of pyrozene, from vineyard dedicated to rose, fermented with . Lovely pale, Provence colour, a bit of herbs and grass, then a touch of toffeed ripeness shows through. Plenty of nice fruit, and a clean red fruit, redcurranty dryness, finishing with lovely lemony acids. 87/100. 55% Cabernet Sauvignon, 17% Cabernet Franc, 8% Merlot, 7% Petit Verdot, 6% Malbec. “We don’t do too much work,” says Morne, “just a few punch downs to make sure we don’t extract too much.” 15 months in barrel, 50 new. Bright, quite buoyant style, loaded with cassis and juicy, ripe black cherry. Very svelte, very silky, with lots of plush black fruit, but there’s a biting precision about this: it doesn’t move into mocha and coffee, but has a twist of chicory and liquorice grip, a hint of char, but focused on that bittersweet fruit. 91/100. 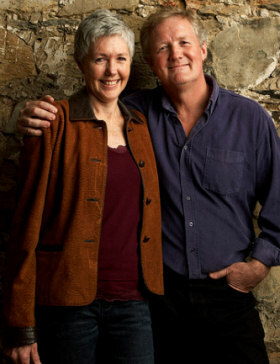 Cousins Jeff and Simon Grier started the family-owned Villiera Wines in 1983. 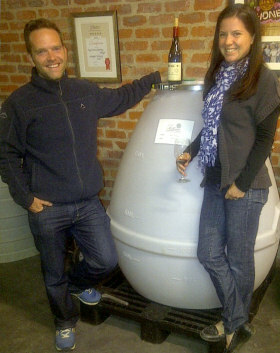 I met up with Jeff and his wife, Cathy, in their busy tasting room just outside of Stellenbosch. Villiera is well known in the UK, with its wines on the shelves of Marks & Spencer and The Wine Society, and indeed export makes up 40% of their business. Though thought of mostly as a sparkling wine producer by many consumers, in fact that happened much by chance, the sparkling wines catching the attention of buyers and consumers in the early days as the couple built up contacts though travels in France and across Europe. “We always wanted to ensure our terroir reflected in the wines,” says Jeff, “but we also wanted to innovate and see our wine in an international perspective. The bubbly business developed through contacts we made in France, and it has been bubbles that have been responsible for a large part of our success and growth.” Indeed that growth has seen production rise from 3,000 cases to over 100,000 cases today, with the 200 hectares of estate vines meeting 90% of their needs. I visited the wonderfully life-affirming creche run by The Pebbles Project in one of the estate’s buildings, and indeed the social and environmental impact of the business is now as much of a focus as selling wine. But Cathy is quick to dispel any thoughts that this is only about altruism “Today, the quality of wines in a competitive market is a given, so it is environmental and social focus that give you an advantage,” she says. “It is something we have been practising for over a decade,” she continues, “but we do use it for a marketing advantage – we started without even thinking about that but now companies we supply like M&S in the UK and Woollies in South Africa tell us we have to shout about it more.” The entire operation runs on a ‘no waste to landfill’ policy, bottle bags in their shop are made from recycled newspaper, the winery is solar powered with the biggest roof-mounted solar project in South Africa which was very expensive to install but which will pay for itself in seven years. The Griers also have a small, 20-hectare estate in the Roussillon called Domaine Grier, though those wines were not presented here. Blanc de Blancs, 100% Chardonnay. Zero dosage, zero added sulphur or preservatives. First released in 1998 and the first of its style in SA. Pale lemon colour, lovely very small bubbles, a nice creamy, custard nose, with baked apple. Mouth-watering lemon and dry apple, nice fine mousse and tangy and long. Beautifully balanced. 90/100. In M&S. Classic 50% Chardonnay, half fermented in old barrel, plus the two Pinots. On yeast for five years. Fine, light gold colour and very small, steady bubbles. A nice autolysis here, a yeasty and brioche character, with a bit of honey and a bold fruitiness too. On the palate it is fresh and tantalising. 90/100. 13. Lovely passionfruit and elderflower punch and vibrancy, a big push of grassiness and green bean, massive crunch and freshness on the palate, a lot of flavour and concentration, plenty of vivid tropical notes and that streak of green into a very crunchy finish. 88/100. £9.99 in M&S. Still bright and fresh, the asparagus and green bean pungency is there, a really nice drink, drier than the 2013, but finely tuned and abundantly Sauvignon Blanc. 88/100. Even more successful through M&S than the SB. Quite a deep golden colour, with a lovely smokiness and touch of honey, a little Cox’s Pippin nutty apple. The palate shows just a touch of lemon zest and there is great thrust and freshness. 87-88/100. In M&S. A “Similar wine,” is sold by The Wine Society. Five per cent Botrytis influence here, four months in 400l French barrels. Gently open and invitingly nutty, oxidative style, a fine creaminess, delicious and flowing, smooth palate, but perhaps lacks a little of the bite and tangy vibrancy of the straight Crow’s Fountain. 88/100. In M&S. 14.5% Shiraz, Merlot and Pinotage. More ripeness, more oak, more glossy appeal, deep and chunky, edging into chocolate. Sweet earthiness, lots of plump, juicy black fruit, with a nicely dry finish bolstered by a touch of grippy tannin and good acid base. 87/100. In M&S. 14. Touriga Nacional and Shiraz. Very fresh style, has some of the nice Touriga ripe black fruit lift and blackcurrant kirsch, the palate has lovely spice and has the sweet earthiness of the Touriga again along with lovely forward black fruits from the Shiraz. Finishes with bright acidity and real juiciness and is deliciously drinkable. 87-88/100. In The Wine Society. Cab, merlot, CF, two years in French oak. Wonderfully sonorous nose, the deep-chested ripeness and richness of the fruit is svelte and black, plenty of coffee and mint and a sheen of polished wood. Quite a lot of oak showing on the palate, has a slightly drying effect, but the substance of the fruit, the solid black berry and cassis, and then a squirt of really fresh, juicy, cherry and damson skin. A big wine, but has that lovely juiciness. 91/100. 12%. Used to be riper, but Wine Soc requested it to be lighter. Delightful floral lift, a touch of geranium leaf, a lovely nettle quality. The palate has delightful freshness and a full flavoured appeal, with really nice freshness and a dry finish. 87/100. In The Wine Society. Waterkloof is based in Somerset West, a thriving area just south of Stellenbosch, where the growth of the respective towns and vineyards has almost fused into one larger region. Waterkloof is the striking new winery built by Paul Boutinot, the Stockport-born businessman of French decent who built one of the UK’s biggest and most important wine distribution companies, which he has recently sold to concentrate on Waterkloof. I met up with vineyard manager Christian Loots (right), who has been with the operation since the start having joined from neighbouring Vergelegen. This is an organic farm, which Christian says enjoys temperatures 4ºC lower than Stellenbosch on average because they are so much closer to the sea, and almost constant breezes from Gordon’s Bay. The vineyards are farmed organically with many biodynamic practices, and are in middle of certification. “But it is not about certification,” he tells me. “It’s about finding balance in very fertile soils. We are 80% self-sustainable too, with almost all work done by horses and all effluent from the farm passing through reed beds to filter it.” That means all water leaving the farm is clean, where traditionally it might have run down and polluted local rivers and townships. The whole farm in an amphitheatre where Christian can choose the slopes and aspects to suit each variety. On a conventional farm yields of 8 and 5 tons/ha would be expected for red and white wines, but here the natural balance gives around 5 and 3 tons/ha. 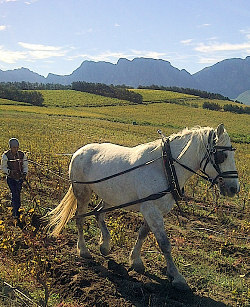 The vineyards are worked by a team of seven percheron horses, who each do seven hectares of ploughing. That breaks up dead soils, then grass, weeds and other growth can come back. Nematodes control weevils amongst a range of biological controls. 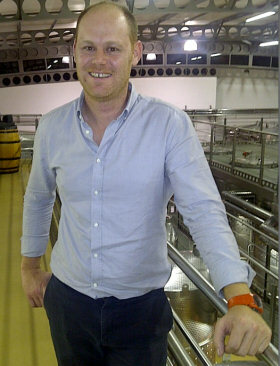 Since Paul Boutinot sold his UK business outright the two companies are entirely separate, although Boutinot in the UK distributes Waterkloof’s wines. One difference since the sell-off is that all bottling is now done in South Africa, whereas previously a portion had been bottled in France. The Peacock Ridge label is a bigger volume brand that is made partly at Waterkloof but mostly at other facilities, so the estate farm and facilities are now entirely dedicated to the Waterkloof wines including Circle of Life. From old vineyards, some from Wellington/Swartland. Nine months ferment, lovely apple and stone fruit flavours, racy and dry a bit of orange too, and lovely mouthfeel. 87/100. Only 12.5% abv. Delightfully bright and perky nose, breezy apple, fresh and tasty, a light style with not so much tropical fruit as dry crunchy apple and lemon zest. 85-86/100. All grapes from the farm, cool climate, 2 weeks after Stellenbosch, A hint more elderflower here, a nice salty tang, and the stone fruit aromas come through with just a hint of grassiness, Lovely mid-palate concentration and real precision, the dry fruit skin tang of the finish is lovely 89-90/100. All older barrels, with 1985 vineyard, herby and earthy, with lots of complex but not oaky notes, just a richness and subtlety of flavour and texture, a really promising wine this. 90-91/100. Old bush vine Chenin from mule-farmed vineyard. 600l barrels with new Rhone oak. Plenty of brioche and toasty buttered oak aromas, lots of toast really and a sesame seed quality, the nutty apple fruit beneath. Fresh and biting palate, lots of flavour and lots of spice, an apple dry quality, but perhaps a bit less oak influence would be better. 88-89/100. Only 12.5% abv. Rain in the vintage forced a slightly earlier picking, lovely fragrant oak character here, with some incense and smoky notes, and a very crisp fruit character, a touch of leafiness is lovely. Really nice freshness, all lemon and orange brightness and tangy fruit skin acidity. 90/100. In the 600l barrels, but only older barrels. Quite subtle, not a huge Viognier aromatic, perhaps the natural yeast suppressing what we expect. Some fresh par and apple. The sweet and peachy element of Viognier does come through a little, but much leaner and fresh and really crisp and nicely fruity. 88/100. Predominantly Chenin Blanc with 38% Sauvignon Blanc, Chardonnay and Semillon co-fermented. Delightful fresh nose, the oak adding just a creamy layer over the fresh orchard fruit and hint of something leafy. Nice and fresh and juicy, with lots of mineral precision, the dry acidity and hint of tannin grip and texture. 91-92/100. Picked early, whole bunch pressed, extremely pale colour, very soft pressing. Beautifully elegant and delicate nose, with dry red fruits, but very soft. A delicate earthy quality and the fruit gently dry and redcurranty. Nice texture, with juicy lemony acidity and dryness, plenty of acidity. 87-88/100. Made in wooden fermenters at Waterkloof. Big stewed tomato character at first, plummy, adding a nice earthiness and edge to dark, earthy dark berries, with plenty of dramatic darkness and depth. Plenty of acidity and bite here, I like the subtle power. 86/100. Some foot treading of grapes, more minty and brighter in character than the Merlot, with some freshness than the Merlot, with a lovely juiciness to the palate adding lots more cut, a big dry finish that has fine dry fruit extract. 87/100. Whole bunch in wooden fermenters, picked a little late to avoid green in stems. Part into barrel. Tasted every day in Vineyard. Lovely nose, showing bright and elegant red and black berry fruits, a nice spice and pepper and altogether quite buoyant and not weighed down by extraction or oak. The palate has rounded creamy and sweet berries, long finish with a little spice and chocolate. 88/100. 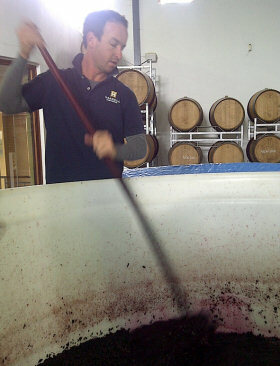 Syrah and Merlot, but 8 varieties in total, fruit from estate, carefully sorted on tables, wooden fermenter. After 30 days including post maceration, basket pressed, and malo in barrel. Classic nose, touches of cedar and smokiness, a firm edge of light game and dark chocolate, but firm cassis-like fruit, delicate incense like oak, very gentle and perfumed and cherryish. The palate has lovely presence, the elegant. Creamy black fruit and integrated tannin delightfully fine and long, with very good balance and that touch of cocoa. 93/100. Whole bunches only in wooden fermenters, pigeage, long maceration after ferment. 600l barrels. From block below winery, windy slope with some warmer climate fruit from elsewhere. Delightfully plummy and with a touch of tinned Italian tomato, that little leafiness. The palate has lovely creaminess to texture and that dry, nicely grippy character with fine tannin and a bit of fruit skin, plum skin grip and texture. Lovely lip-smacking finish on this, and lovely in the end. 90/100. Pure Cabernet Sauvignon, from below winery on granite, destemmed and in wooden fermenters. 225l barrels for 17. Again has that little tomato leaf edge of green which they think is from the clone, but firm cassis beneath and the palate really racy. There is a solid, sweet core of very ripe cassis that is lovely and mouth-filling, and the smokiness and toast of the oak adds a supporting layer beneath. Long and spicy, a bigger style, but very well done. 90-91/100.